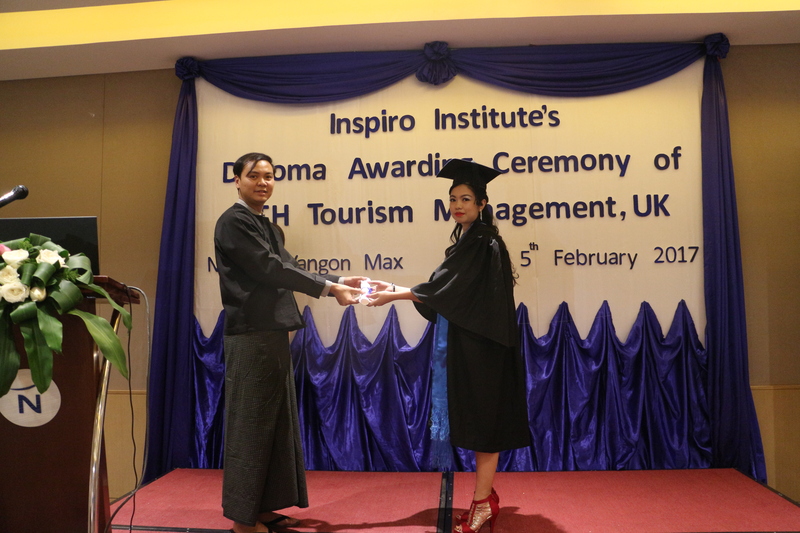 On the 5th February 2017, Inspiro Institute proudly celebrated its first Diploma awarding ceremony for CTH students at the Novotel Yangon Max, Mandalay Hall. 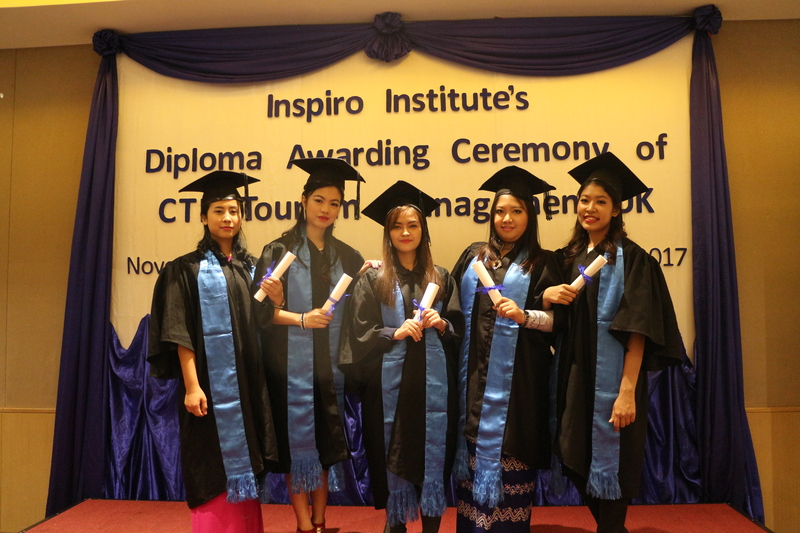 It was the very first graduation ceremony for Inspiro CTH students and Inspiro was delighted and proud to celebrate these outstanding students who broke new ground for CTH in the fast-developing country of Myanmar. This ceremony was graced by the attendance of honorable lecturers and special guests, as well as the CTH students themselves and their proud parents. The event was opened by Mr Tin Cho, a Senior Lecturer, with a following speech and words of encouragement by Managing Director Mr. Sithu Aung. The Principal, Mr Win Thu, formally awarded the students their Diplomas and the ceremony concluded with words of thanks by Ms. Wint Myat, one of the outstanding students. It was a highly enjoyable evening for all concerned, with much laughter while having a photo shoot together with teachers, students and their families in the function room. 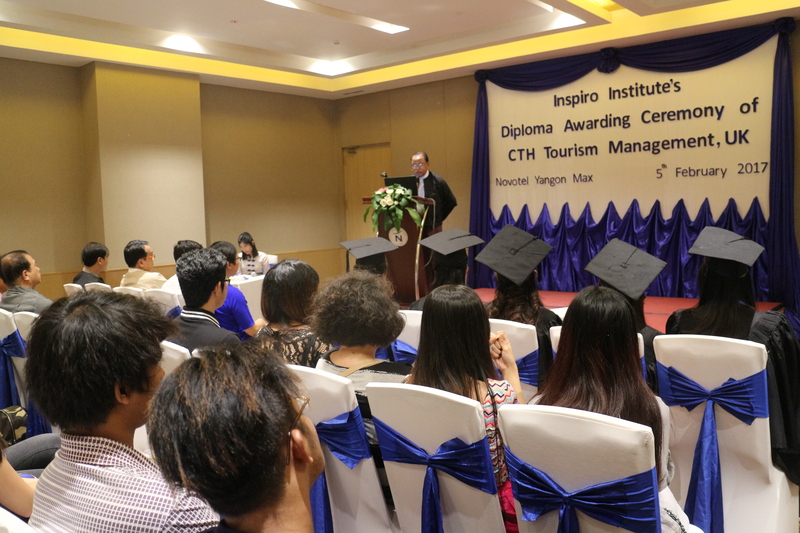 It was a memorable ceremony not only for CTH students but also for Inspiro Institute, marking a successful culmination of their first year as a CTH Approved Teaching Centre. They and their students now move ahead to greater things!